DÉJÀ VU or just bad luck? Amid the sound of police sirens, argy-bargy between two sets of fans, stand-offs and inappropriate goading of terrorists, England kicked off their Euro 2016 campaign with a draw against unfancied Russia. “Russia’s identity crisis could make them England’s ideal opponents”, said one report ahead of the game. For most of the 90 minutes, that headline looked safe – England certainly outpassed Russia – but their opponents rekindled the spirit of the old Soviet Union teams in keeping focused right to the end. They were very fortunate. If you believed everything you read, Russia were there for the taking: doping scandals, injury crisis, bad preparations and, arguably, easy prey for the “most promising England team since 1966”. Those last words were Geoff Hurst’s apparently, a man who should know better! England do have some young talent, mostly from the White Hart Lane stable, but on the evidence of their performance against Russia, they lack the killer instinct and the experience needed to be real contenders. 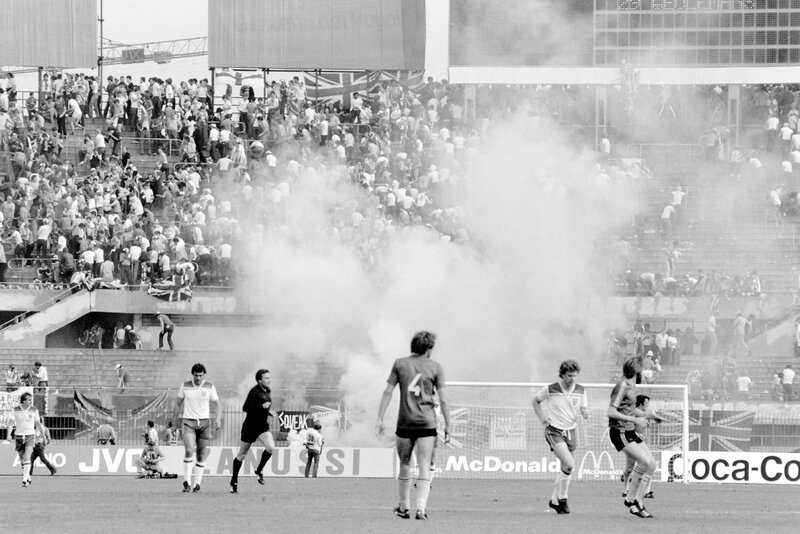 Perhaps their moment will come, but international football in England has had many false dawns since that summer of 1966. This competition was supposed to be better, wasn’t it? After “no expectation” in 2014 (never a more truer prediction) and the joy of a goalless draw with mighty Costa Rica, England had seemingly stumbled across a new alchemy. Raw talent from the Spurs giving them the youngest England side in some years – an average age of 25 and a bit. England’s self- confidence in major competitions is at such a low ebb that a good result was a prerequisite. But England’s initial results in both the World Cup and European Championship rarely live up to expectations – they are notorious slow starters. In the Euros, they have never won their first game in the finals, from the 1968 Semi-Final defeat at the hands of the Yugoslavs to 2016’s draw with Russia. In between, they have succumbed to teams like Ireland, Portugal and France and been held to draws by Denmark and Switzerland. In the World Cup, England have won just five of their 14 openers: 1950 v Chile; 1970 v Romania; 1982 v France; 1998 v Tunisia and 2006 v Paraguay. Too often, disappointment has been the sentiment on the morning after the night before. How important has winning the first game been in the European Championships? Since the group stage finals were introduced in 1980, only one team has lost its first game and gone on to win the competition – the Netherlands in 1988. Denmark in 1992 and Spain in 2012 drew their first group game but still lifted the trophy. From England’s perspective, failure to win has not always been a disaster. Prior to 2016, the seven finals they have qualified for have started with five draws and two defeats. Four of those campaigns have ended at the group stage: 1980, 1988, 1992 and 2000. The best Euros for England were in 1996, when they drew with the Swiss at Wembley but still reached the semi-finals. England’s two appearances in the quarter-finals – 2004 and 2012 – started with a defeat against Portugal and draw with France. Likewise, in the World Cup, prospective winners invariably start with a win – in fact, since the second world war, only three champions have failed to win their opening fixture: England in 1966, Italy in 1982 and Spain in 2010 – the latter being the only eventual winner to lose their first outing. In this year of 24 teams, England will have to work hard not to qualify, but Russia and Slovakia, not to mention buoyant Wales, will be thinking that opportunity prevails. England’s group could be one of the tightest in Euro 2016, so with every result, the permutations will change. They cannot afford a slip-up against Wales in their next game, but a draw against Russia? We’re not in a Brexit-style situation…not yet, anyway.